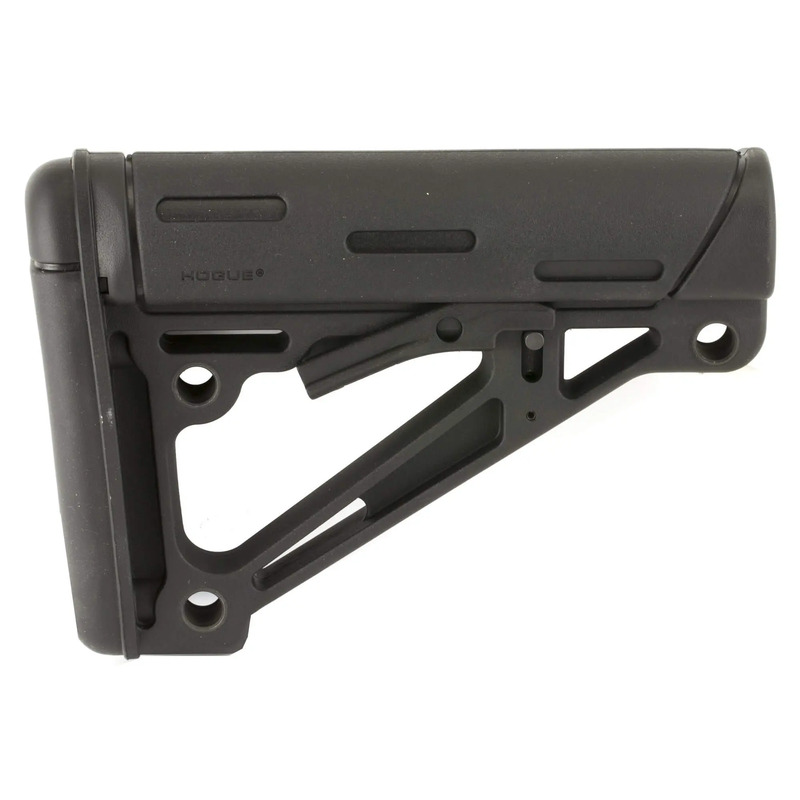 Featuring a reinforced polymer construction with a rubber cheek rest and a rubber/polymer hybrid buttppad, the Hogue OverMolded Collapsible Buttstock offers better feel and comfort than other stocks on the market. Guaranteed beard friendly. The unique design creates a snug anti-rattle friction fit that prevents unwanted movement along the buffer tube. Lightweight and overall a high quality product for the price point! Note: For use on 1.17″ diameter buffer tube. Replaced my factory stock with this. Fit is great. Easy to install. Love the texture., and the beard friendly guarantee is legit! Thanks for sharing your feedback, Trevor. We're glad you're satisfied with your purchase. Cheers!